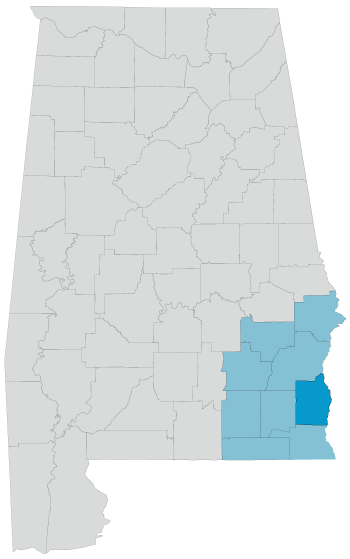 Henry County is located in the southeastern corner of Alabama, bounded on the east by the Chattahoochee River and the State of Georgia. The northeast corner is bordered by Walter F. George Lake where visitors can enjoy boating, camping and fishing. The cities and towns in Henry County include Headland, Abbeville, Haleburg and Newville. According to the most recent census, the population of Henry County is 17,302.